Looking for HostMonster promo codes and coupons? #MasterTheWeb and save money today with our exclusive The Webmaster offers. This our standard Hostmonster Coupon which gives over $3.00 off their hosting plans per month. The discount applies to the first invoice only. 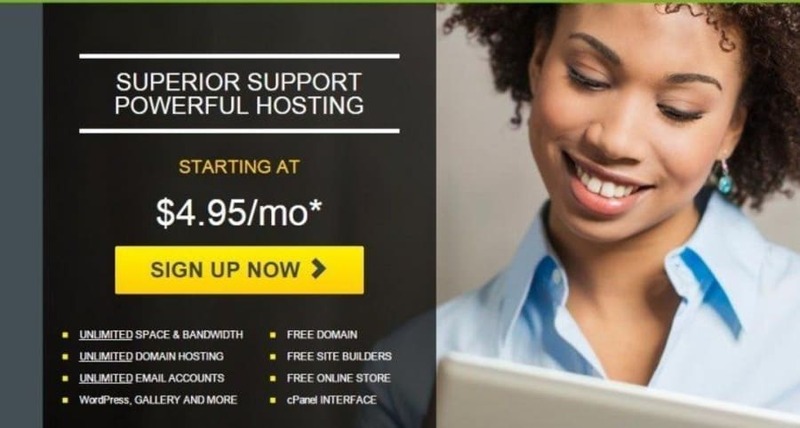 This a great Hostmonster Promo Code which gives 50% off their VPS hosting for the first month only. The Hostmonster Promo Codes we offer on this website are actually link activated, so you will not need to specifically paste the code anywhere, but instead the offers will automatically show on their website. This makes it really easy to take advantage of our Discount Codes. To start simply click the “Sign up now” button on their homepage. You should already see the Hostmonster promotional price shown above the Sign Up button as shown in the image above as the Hostgator Coupon you clicked above will have automatically activated the offer. Click the Sign Up Now button © The Webmaster. The next stage is to choose the hosting plan you require. You have a choice between the Starter, Plus or Business Pro Plan. At the top you will see the Promotional rates being offered, and the price that the hosting will revert to subsequently. Once you have chosen your required plan, click on the green “SELECT” button to proceed further. The next stage is to enter your domain information. If you wish to take advantage of your free domain then you can enter it at this stage under “I Need a Domain name”. Please note that if you subsequently seek a refund, then any free domain will be deducted from the amount returned at a cost of $14.99. If you already have a domain, you can enter it in the right hand box, and then click “Next”. Complete your domain information © The Webmaster. Enter your billing information, choose a billing cycle. Select or deselect any add-ons, and then create your account. As you can see Hostmonster is pretty pricey unless you sign up for a longer period. We have only included a section of the screenshot. Complete billing information, Review your Package and any add-ons, and create your account © The Webmaster.